As LEGALLY BLONDE THE MUSICAL welcomes its newest star to Broadway, MTV winner Bailey Hanks; dances its way into its second year on the Great Blonde Way; and the first national tour launches in September, Williamson Music is proud to announce its music publishing representation of that "smash hit" (Wall Street Journal) musical's score, written by Laurence O’Keefe and Nell Benjamin. Together, O’Keefe and Benjamin wrote the songs to LEGALLY BLONDE, as well as to the musical THE MICE (one-third of the musical triptych, 3HREE); and O’Keefe wrote music and lyrics to the Off-Broadway and London cult hit, BAT BOY. 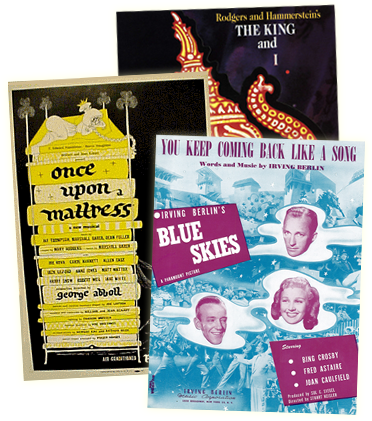 Williamson Music, a division of The Rodgers & Hammerstein Organization, will represent all of these scores worldwide, as well as future work from the team of O’Keefe and Benjamin. Coming soon: LEGALLY BLONDE vocal selections from Williamson Music/Hal Leonard Publishing. "Laurence and Nell are extraordinary," says Maxyne Berman Lang, President of Williamson Music. "I am so impressed by the depth of their talent, and their writing. Their songs reflect great intelligence, wit and fun. To quote LEGALLY BLONDE’s great Act I closer, our wonderful catalogue here at Williamson Music has suddenly gotten 'so much better.'"